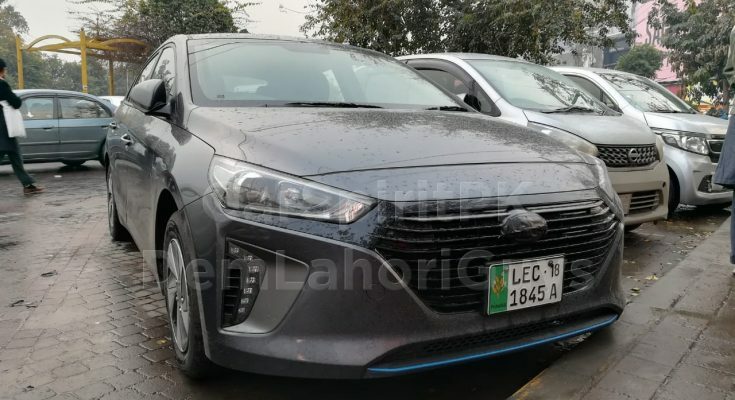 A Hyundai Ioniq has been spotted on the roads of Lahore one again. 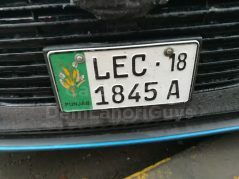 Previously it was spotted in traffic but this time it was caught parked at Liberty market. 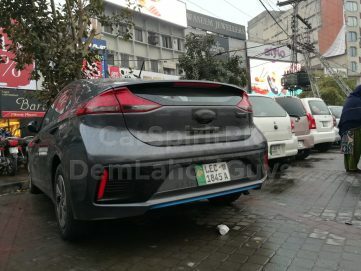 So this gave our fellows at DemLahoriGuys at good chance to capture its exterior as well as a sneak peek of its interior. 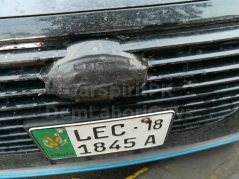 One might think it’s a random import but interestingly the vehicle had its emblem masked with a tape, a common practice by automakers to conceal the identity of a vehicle. Not only this, even the steering wheel had a tape on it to camouflage the logo. 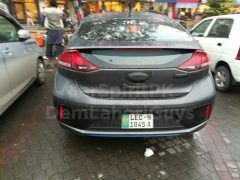 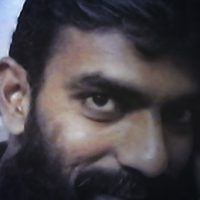 This does lead us to assume that the vehicles has been imported by Hyundai-Nishat for trial & testing purpose. 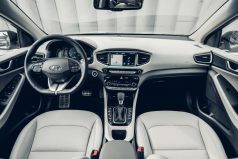 The Hyundai Ioniq is a compact five door liftback that comes in three derivatives– a hybrid, plug-in hybrid and pure-electric. 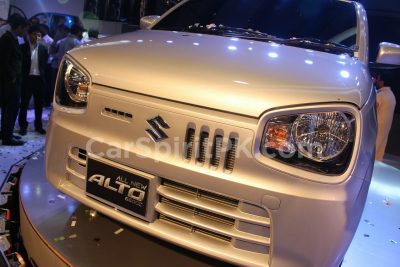 The one spotted above is the hybrid version as far as the visual appearance is concerned. 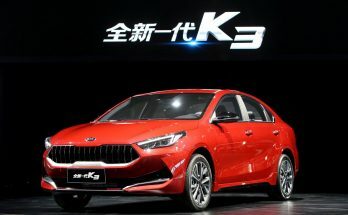 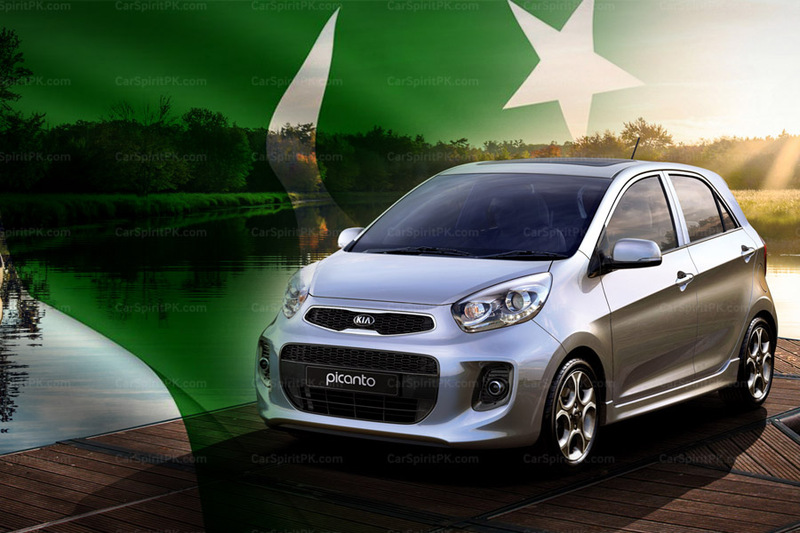 It gets powered by a 1.6 liter Kappa 4-cylinder direct injection engine capable of delivering 105 hp and an estimated 148 Nm of torque. 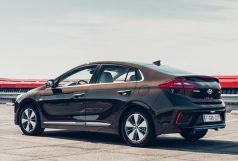 The Ioniq Hybrid’s electric motor delivers an estimated 43 hp of power with an estimated maximum torque of 169 Nm, powered by a lithium-ion polymer battery with 1.56 kWh capacity. 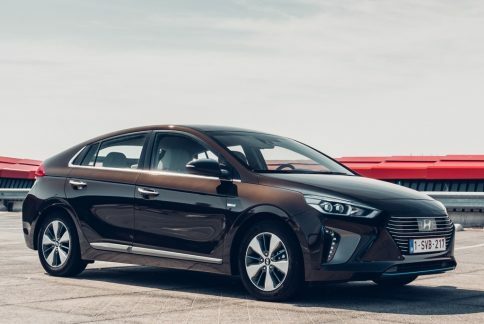 In combination with the 1.6 liter engine, the Ioniq Hybrid offers an estimated total output of 139 hp and 264 Nm. 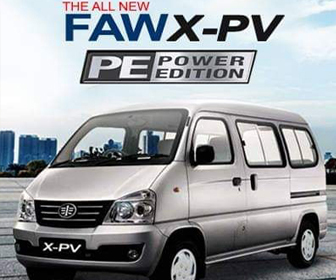 The power is transmitted to the wheels via a 6-speed dual clutch transmission. 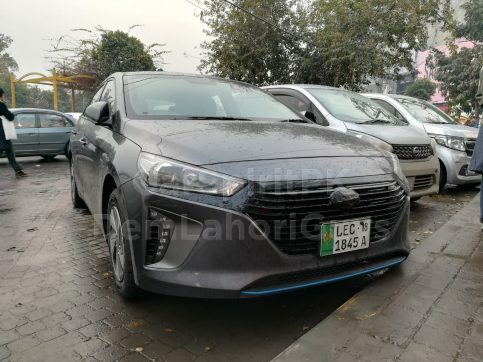 Indus Motors already has a couple of hybrid vehicles on offer including the Camry and Prius. 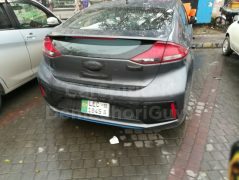 Whether or not the Ioniq will be included in the list of Hyundai-Nishat’s offerings is yet to be seen. 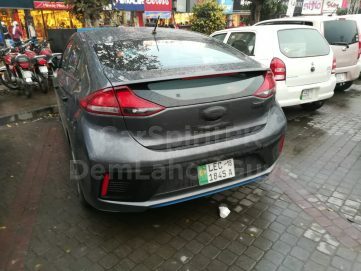 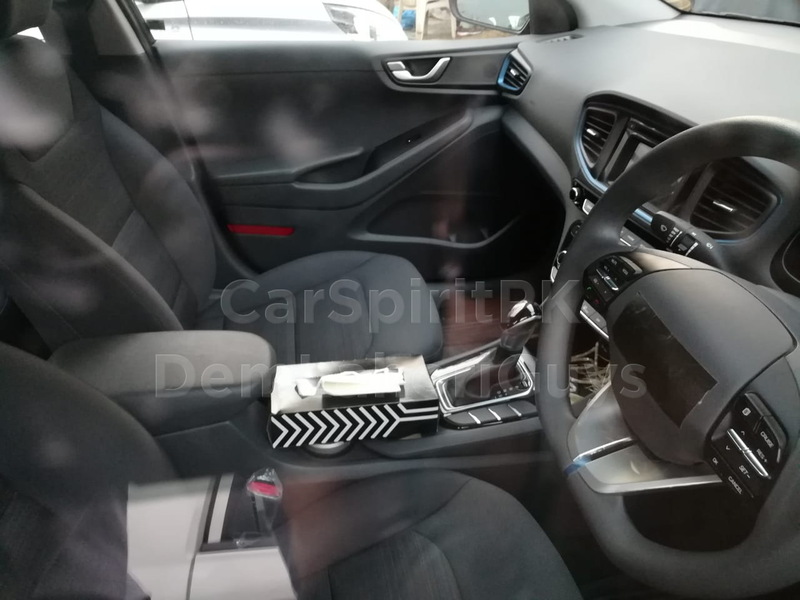 However an Ioniq with hidden emblems does indicate Hyundai-Nishat might consider introducing the hybrid liftback here. 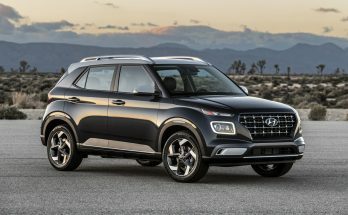 Are there any plans for import CBUs prior to selling locally built cars?